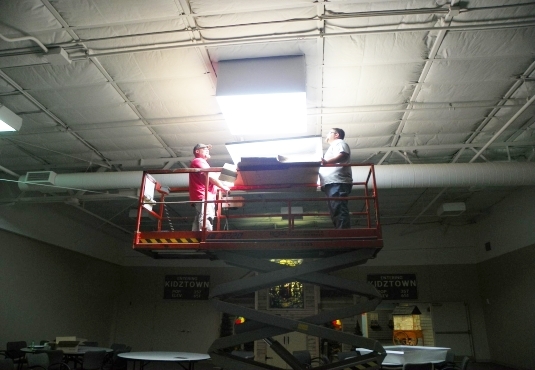 Nine 4′ X 4′ DayStar Skylights were installed in the Calvary Church commons, converting the very dark area to a bright, welcoming, comfortable, naturally lit gathering area. 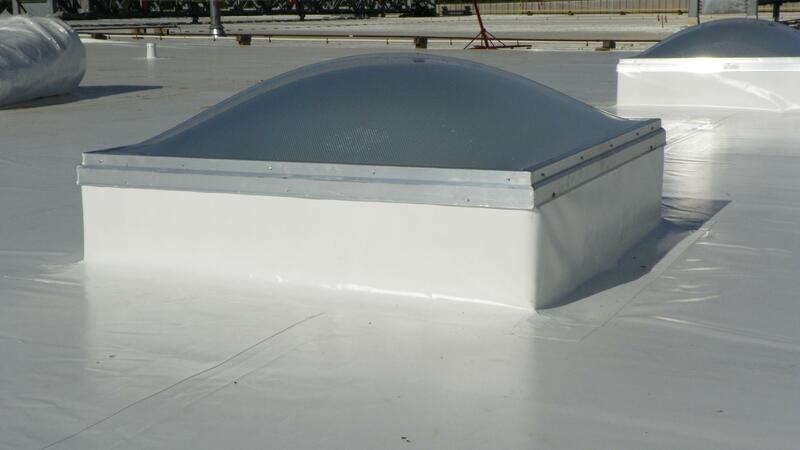 The new DayStar Skylights reduced electric consumption and eliminated the constant artificial lighting hum. 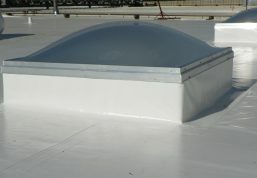 DayStar Skylights offer full spectrum light, energy efficiency and conservation, promote productivity/morale and add to the value of the building. 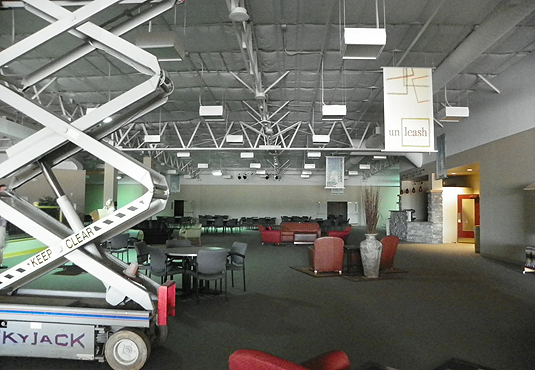 Commons prior to installation utilizing halogen lights. Letting in natural light reduced electrical usage. 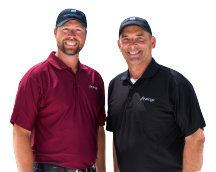 Natural light on the right and halogen light on left.